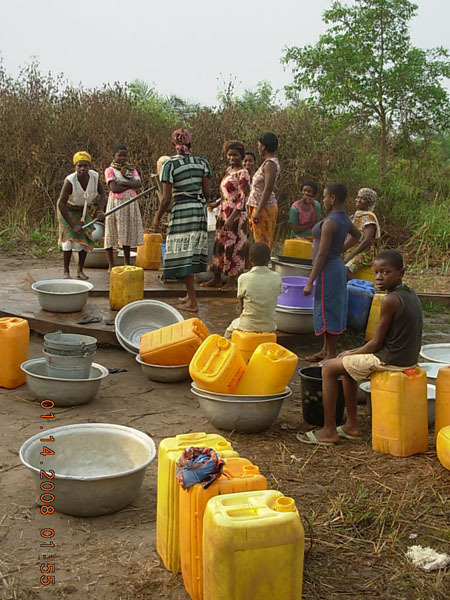 Cedar Rapids West Rotary is working with a Rotary District 9100 club in Ghana, in western Africa, to provide clean drinking water for 10,000 people in southeastern Ghana. Click here to read the latest about the Ghana project. 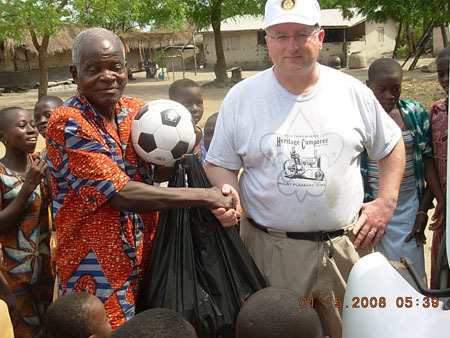 John Mack of West Rotary recently traveled to Ghana to help assess and plan for Cedar Rapids West Rotary help. To help, press Donate below to make a contribution. 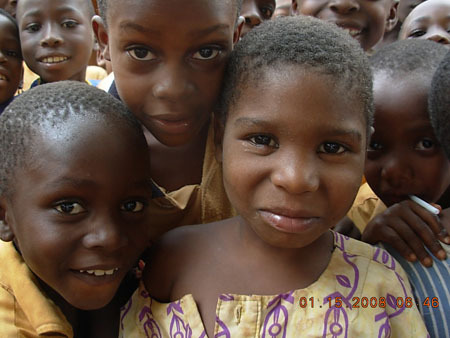 Below are the faces of the children that will be provided clean water by this project. This is a very good start. Additional details should be addressed together. 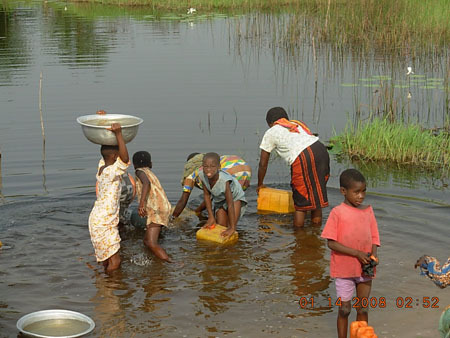 They have several wells for the several thousand people, but they are inadaquate. I watched a long line of women wait for water since the level was so low, only so many pans could be filled at a time. John brought some sports supplies for the children in Ghana.